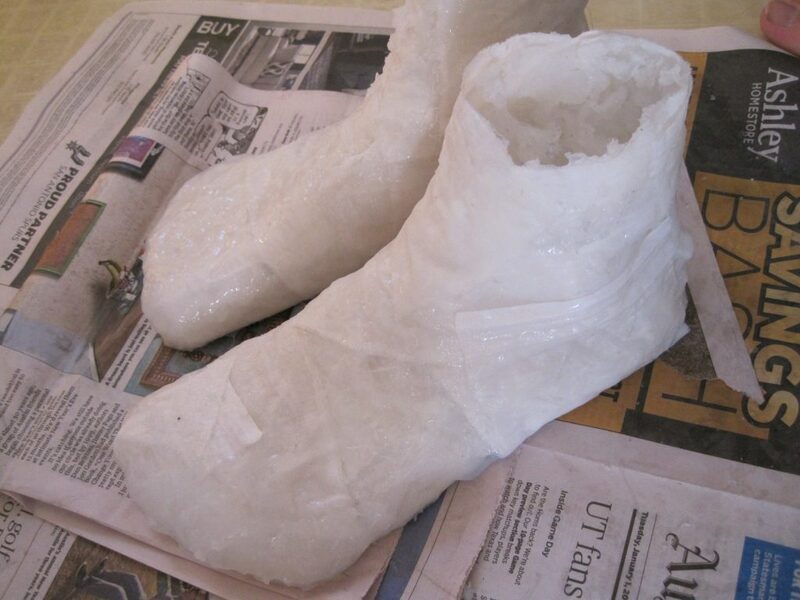 Many shoe-making methods require a last, a hard, foot-shaped form around which a shoe is molded to give it 3D shape. Since I am a fan of “minimalist” or “barefoot” shoes, I wanted to use a last that is actually shaped like my feet. The Munson Army last, developed for minimalist walking shoes by a military doctor shortly before World War I as detailed in his book, was an option but I was not able to find any for sale online. So instead, I cast my feet! There are several ways to do this. 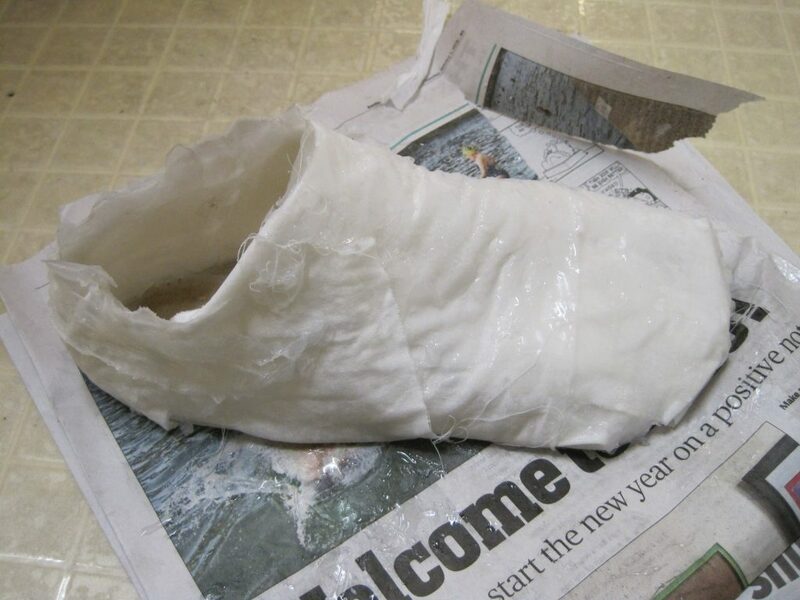 The standard alginate mold approach involves casting your feet (or other body part) in alginate jelly, then filling the negative with some other material (plaster is popular, but can only be used once). This method exactly replicates your feet in shape and size. 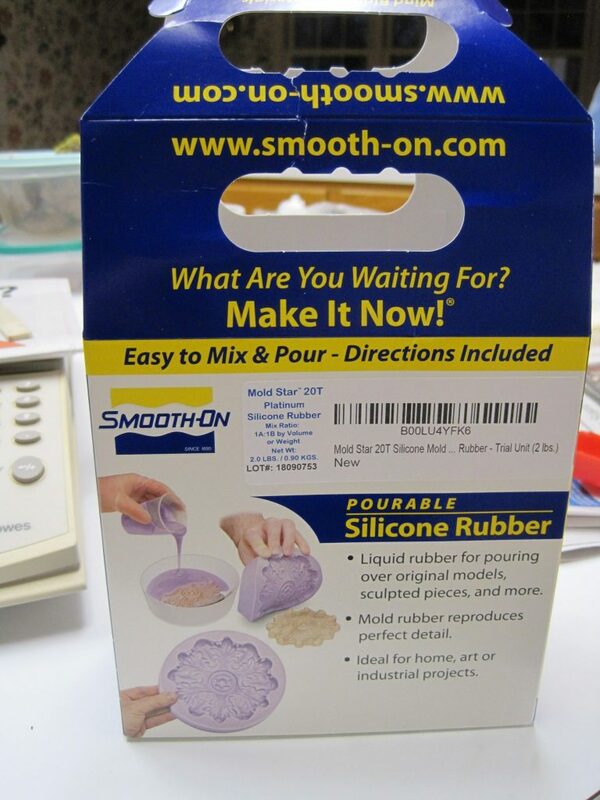 Casting kit I used. 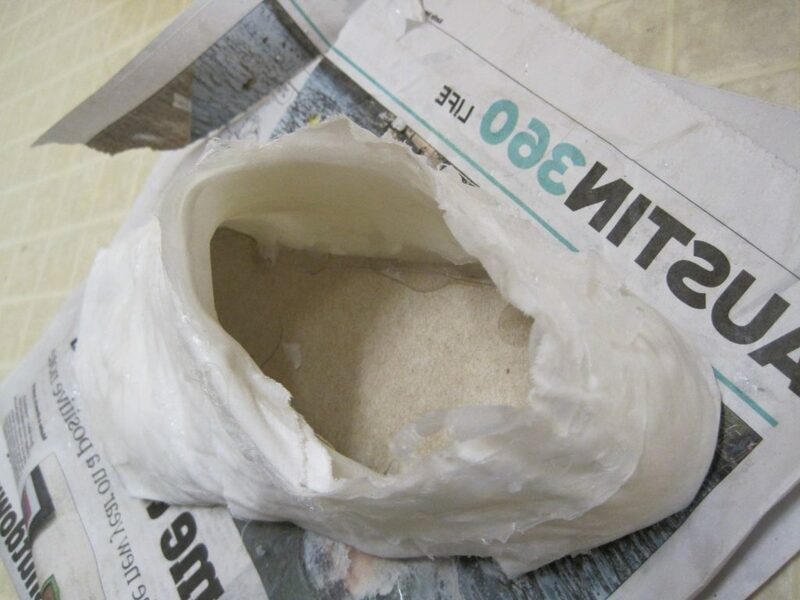 I now have quite a bit of alginate powder left over. 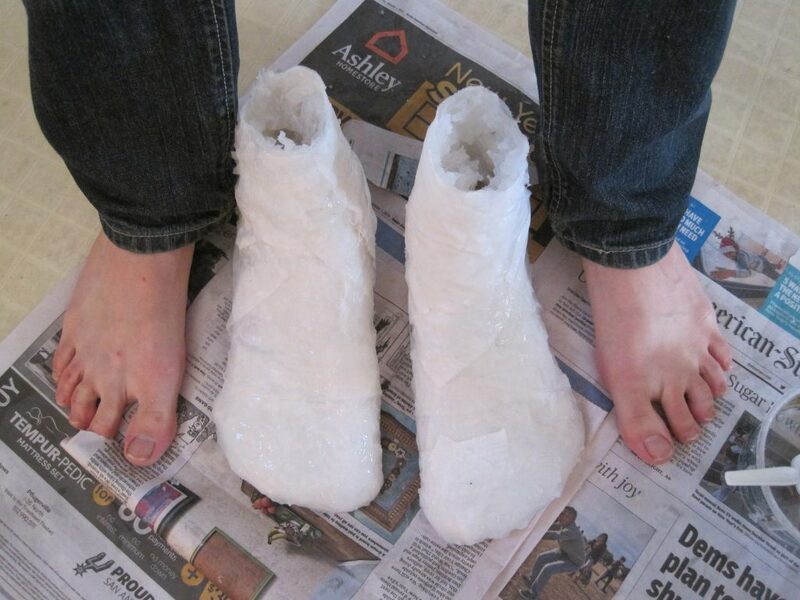 Since I wanted to have extra room for socks and wiggling my toes, I did not use the alginate approach. 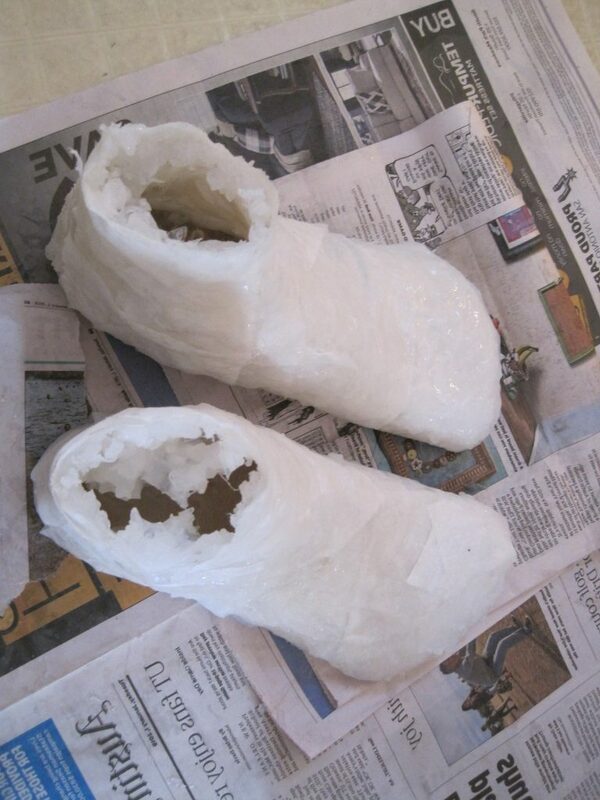 Instead, I wrapped my feet in fabric strips dipped in silicone, similar to how one would use plaster bandages. I made the lasts in parts, starting with the toes and working my way up the leg. I would periodically remove the cast to unstick it. I cut out cardboard “insoles” to add structure to the bottom of the lasts while I built them. 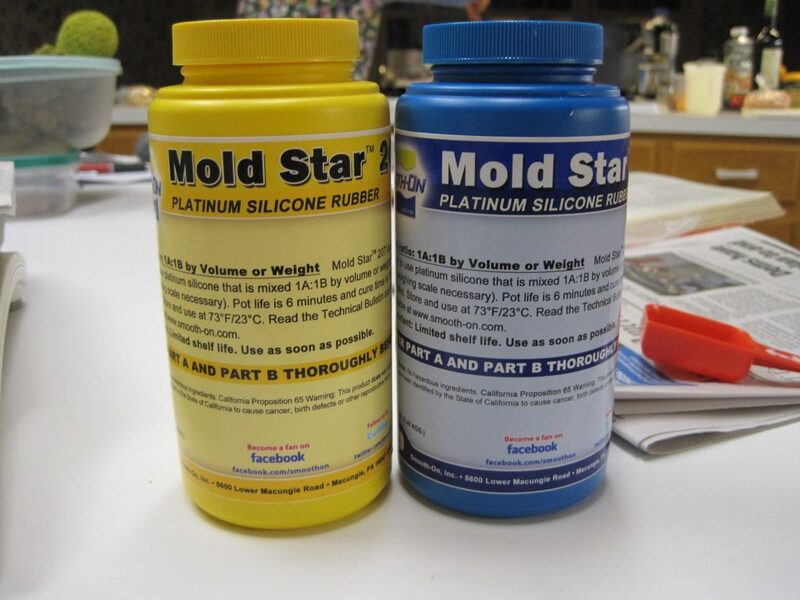 The silicone cured quite quickly, within 5 minutes of mixing the components. 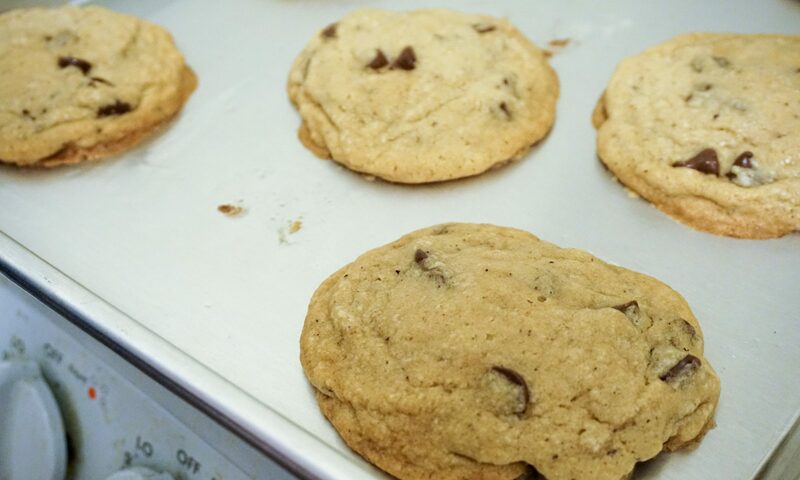 I used slightly-but-not-quite-cured globs to start filling the lasts up to solidify them. Wrapped up to the ankle for future boots, perhaps! Currently, the lasts are flexible shells. For making shoes, they must be stiff and able to hold nails. My plan is to fill them with additional silicone (and maybe fabric as filler) to achieve this.